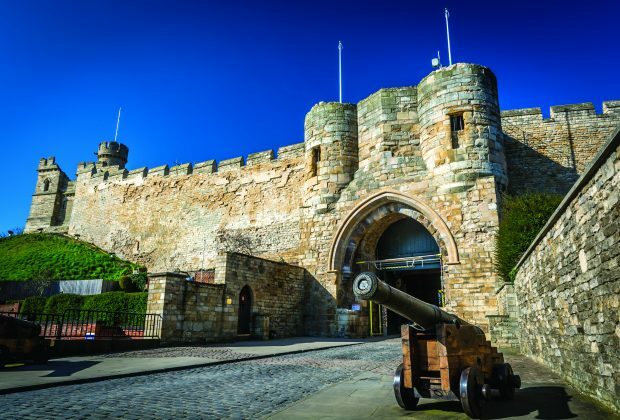 Lincoln Castle has a large number of learning experiences on offer. Built in 1068, on top of the Roman town, we explore the history, society and culture of those who ventured within its walls! Examine 2000 years of history through a range of immersive activities and real and replica objects. For those studying the medieval castle and Magna Carta, the David Ross Magna Carta Vault exhibits one of the four existing copies of the original 1215 Magna Carta and one of the two existing copies of the original 1217 Charter of the Forest. The Victorian prison, with a unique chapel, tells the story of life in a separate system prison and the characters that inhabited its walls! The wall walk tours are adapted to suit the needs of the varied workshops. Each workshop has been designed to suit varied curriculum needs and have been awarded the Sandford Award for heritage learning. Speak with the team should you require further information or particular access needs.